sermons, and homiletic training in the Black tradition. The African American Preacher has a noble history. From the one who risked life and limb to preach God’s Gospel in the Invisible Institution to contemporary preachers reminding God’s people, especially Black Christians, that regardless of economic status and the continuance of forces that seek to undermine their humanity, God is still on the throne. at and marvel at the Black Preaching Tradition that has helped a people to survive the horrors of capture, the terrible middle passage, years of slavery, the disappointment of failed reconstruction, jim crow, and today’s challenges. In this website we will attempt to present the theology, style, and sermonic structure of the African American preacher’s sermons. This tradition provides much that the Black Christian should be proud of. Seven Steps to a Great Sermon – A good starting point to understanding this site is to read the seven steps to a great sermon. In a couple of months we will release the ebook version of this resource. 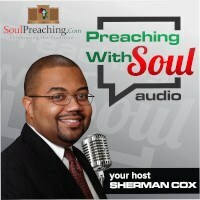 What is the Black Preaching Tradition – This is the first of many attempts to define what the Black Preaching Tradition is. Celebration – What is celebration in preaching? Black Preaching to Name God in Human Experience – We are told to match human experience to the Biblical text in preaching. This post talks about how to make sure that you address the wide variety of human experience. 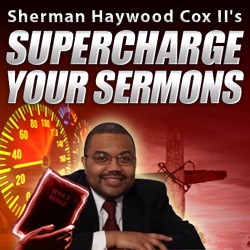 Sherman Haywood Cox II is a Black Preacher who is seeking to celebrate the Black preaching tradition. You can learn more about him on the About page.